After the much publicised US Lassen’s voyage through contested waters in the South China Sea last week, the US Chief of naval operations Admiral John Richardson and his Chinese counterpart, Admiral Wu Shengli, held a video conference . The video conference was reportedly  requested by the Chinese. Few details were released about the call, but Reuters  reported that scheduled port visits by US and Chinese ships and planned visits to China by senior US Navy officers remained on track. Meanwhile, Australia is proceeding with its scheduled live-fire naval exercises in China despite US–China tensions. Two warships, HMAS Stuart and HMAS Arunta, are spending three days  at China’s naval port at Zhanjiang, in Guangdong province. The last time  the Australian Navy conducted live-fire naval exercises was 2010. Last week in Vladivostok, Russia laid down the first of two new arctic multi-purpose support vessels for the Russian Navy. The Project 03182 small marine tankers have been designed  as multipurpose ice-class vessels for the transportation of liquid and dry cargo and for performing rescue operations. Russian media reported  that the first vessel, named the Mikhail Barskov, will be delivered in November 2017, with the second following in 2019. Last week, the Pentagon announced that Northrop Grumman had won the tender to build the US Air Force’s next generation Long Range Strike Bomber (LRS-B). The tender is the largest military aircraft contract in more than a decade and is estimated  to be worth around US$80 billion (or $564 million per plane). In this article , DefenseNews takes a look at the announcement and what we still don’t know about the bomber. As conflict continues in Syria, Dave Majumdar takes a look at the five most lethal combat aircraft in Syria  on The National Interest. Taking out the number one spot as the most advanced combat aircraft in Syria is the US Lockheed Martin F-22 Raptor. Bagging second place is the US Boeing EA-18G Growler, armed with AGM-88 and AIM-120 missiles and designed to disrupt enemy radars and communications. Third place goes to Russia’s Sukhoi Su-34 Fullback while Russia’s Sukhoi Su-30SM Flanker-H comes fourth. The French Dassault Rafale fighter takes the last spot in the top five. And finishing on a light and breezy note this week, a US surveillance blimp  which was flying over a US Army base before it broke free from its moorings and made a desperate bid for freedom. It then drifted from Maryland to Pennsylvania, snapping power lines and leaving thousands of residents without power. The Pentagon confirmed  that the blimp was shot down (shooter unspecified) and deflated. 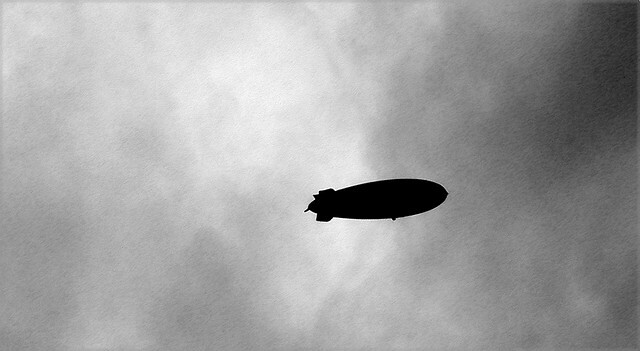 A US$235 million #Blimpgate? Making headlines in land capability this week is the US decision  to send special ops forces into Syria. This marks a change from White House policy since 2013 that the US wouldn’t be putting ‘boots on the ground ’ in Syria. Fewer than 50  troops are currently slated to deploy into the north-east of the country to ‘advise and assist’ Syrian Arab, Turkmen and Kurdish groups fighting in the region. The Turnbull government says Australia has no plans to follow America’s lead  in deploying ground troops to the region. It’s been a good week in the unmanned vehicle domain for the US Army and for fans of robots generally. Sikorsky successfully tested a self-flying version  of the UH-60 Black Hawk last week, in which the helicopter picked up and dropped off a robot passenger. The helicopter can operate autonomously or with a remote pilot, and Sikorsky says that the technology represents the possibility for autonomous logistics missions . The US Army has also announced funding for three new ground robot programs . The proposed platforms are an ordnance disposal robot, an equipment transport for dismounted troops, and a ground resupply vehicle. US Army are also looking into uses for swarms of consumer drones , including reconnaissance, surveillance and potentially even dropping munitions. Alice Slevison, Mercedes Page and James Mugg are research interns at ASPI. Image courtesy of Flickr user Matt Schilder.